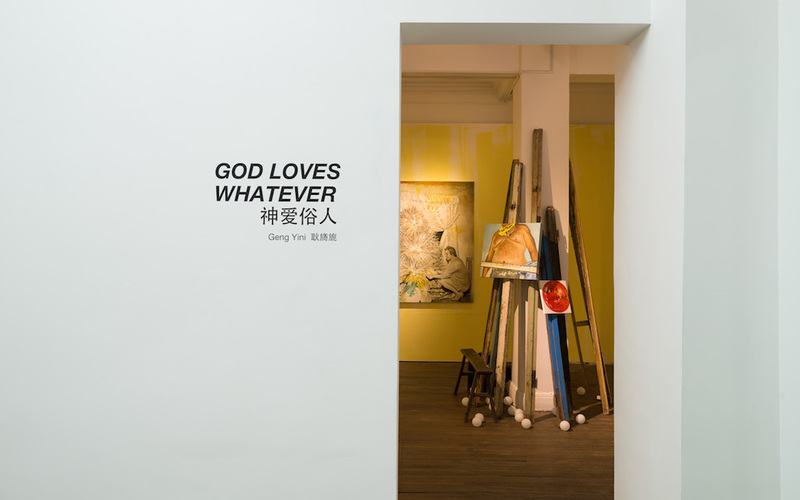 – Geng Yini After her triumphant solo booth at last years’ SH Contemporary Art Fair BANK is excited to present Geng Yini’ s 2nd solo exhibition at the gallery. 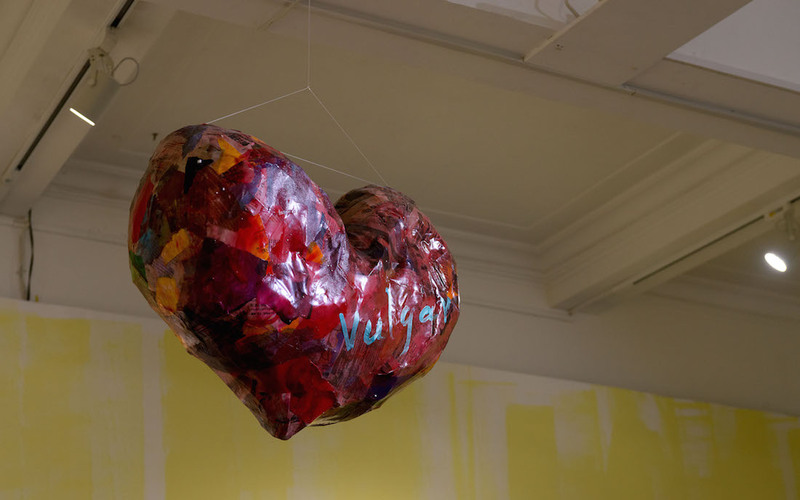 Intertwining her way through multiple mediums Geng Yini continues her bad-girl tactics in a new exhibition that takes on the touchy subject of religion and faith. Her large-scale, expressive paintings juxtapose and overlay images from different cultures and time periods in a carnival of absurdity. With pictorial inspiration sourced from across the global spectrum Geng positions the layman, in all their vulgarity, crude beauty, and misery, as God’s chosen ones. 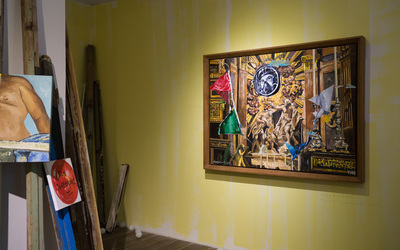 With a technique that is equal parts social-realism, graffiti, and expressionism Geng’s surfaces and palate is alive with dirty splendor. 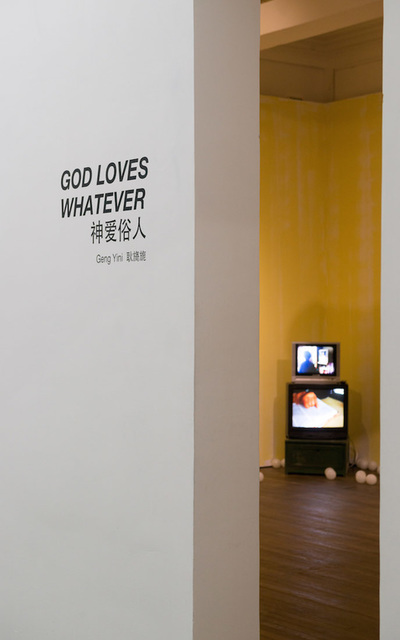 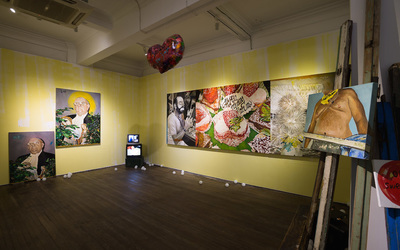 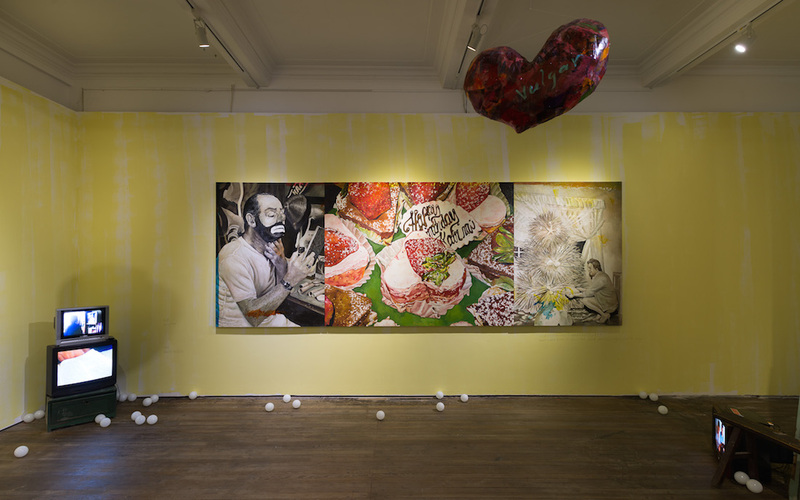 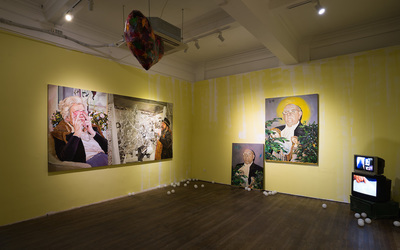 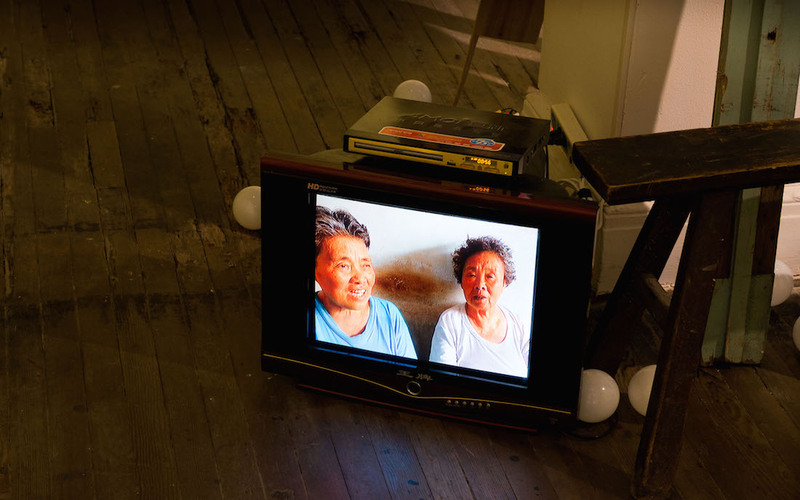 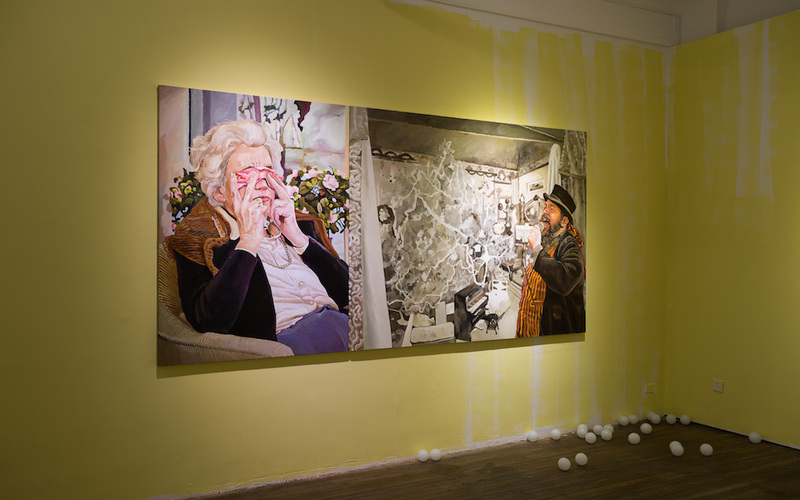 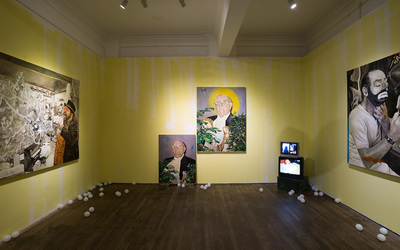 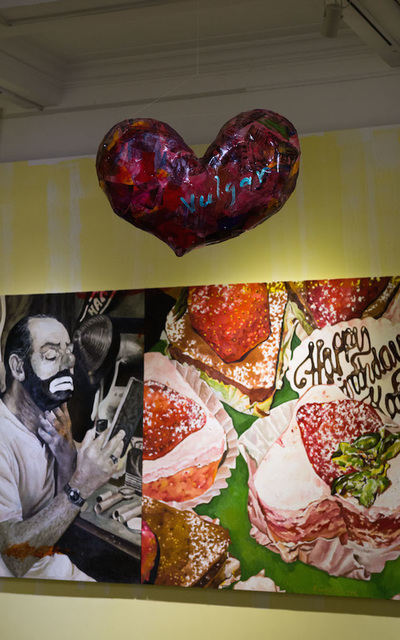 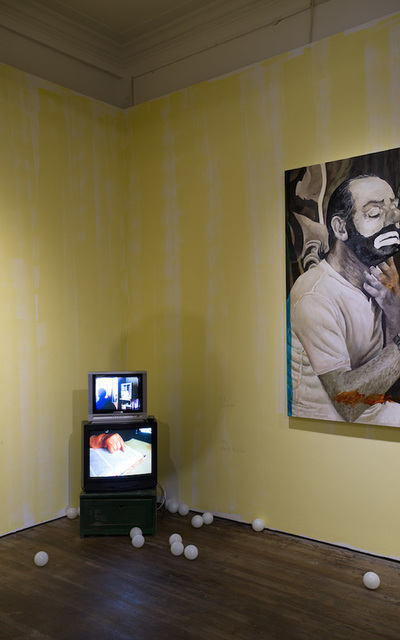 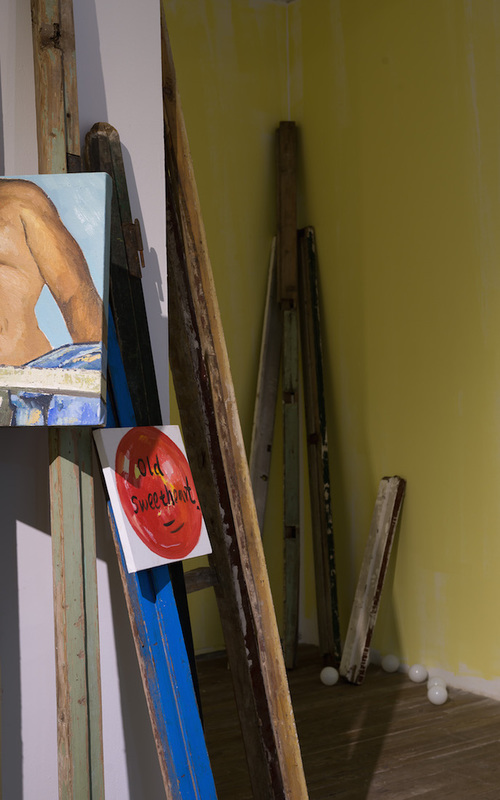 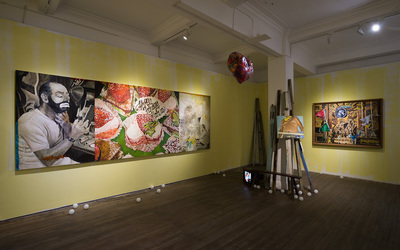 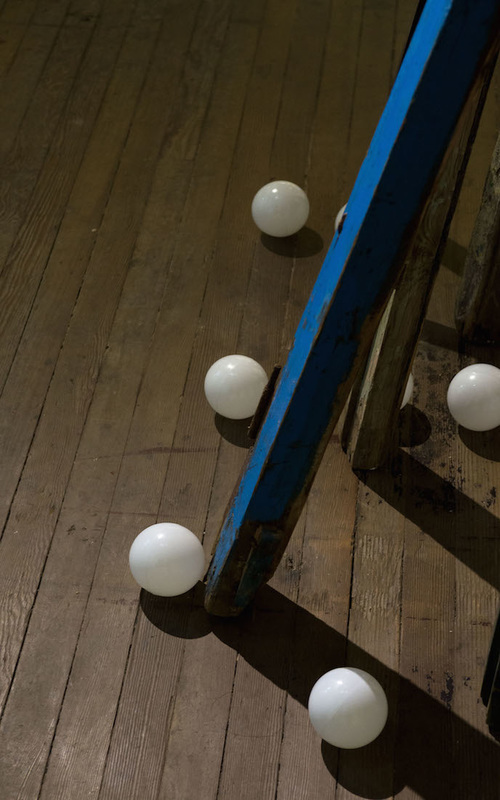 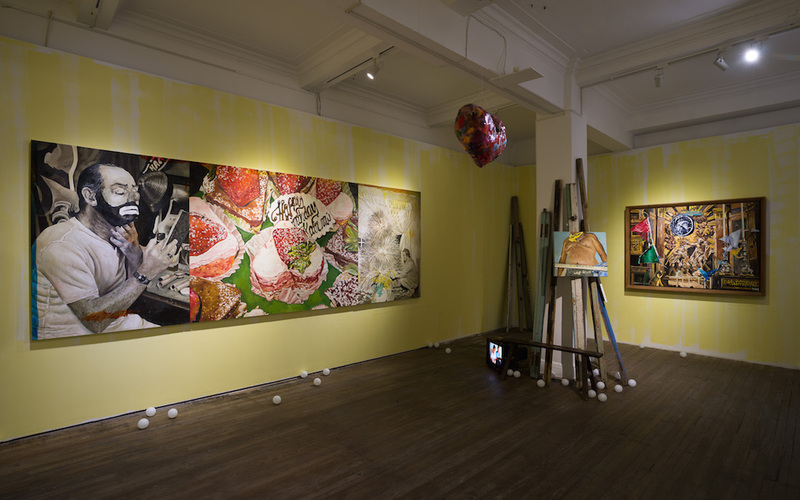 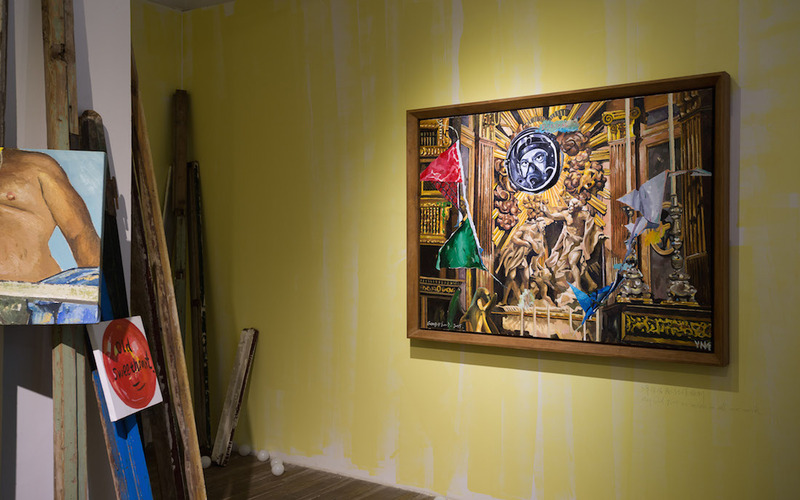 Geng’s schizophrenic tableau and attitude continues in her installation and video works, which show her grandmother and friends reading, or mis-reading passages from the bible, eating fruit, and singing religious hymns.